(a) Turn the No. 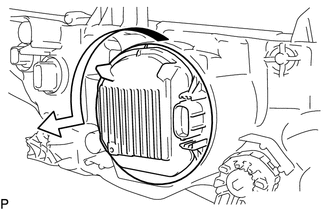 2 headlight bulb in the direction indicated by the arrow shown in the illustration, and remove it. 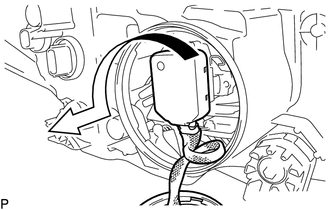 (a) Turn the light control ECU in the direction indicated by the arrow shown in the illustration, and disconnect it. 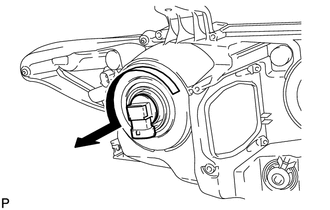 (b) Turn the socket of the light control ECU in the direction indicated by the arrow shown in the illustration, and remove it. 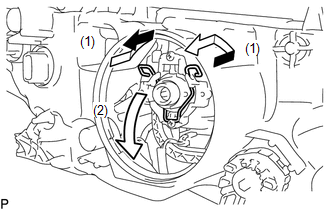 (a) Release the set spring as shown in the illustration and remove the discharge headlight bulb. (a) Turn the No. 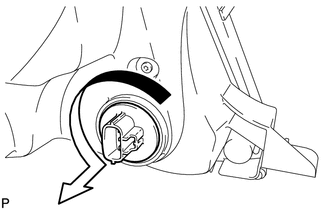 1 headlight bulb in the direction indicated by the arrow shown in the illustration, and remove it. 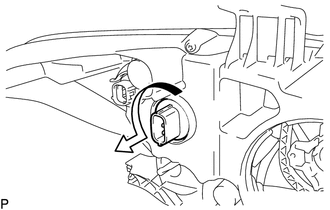 (1) Turn the front turn signal light socket with the front turn signal light bulb in the direction indicated by the arrow shown in the illustration, and remove them as a unit. 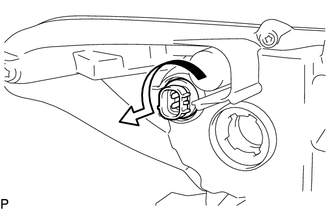 (c) Remove the front turn signal light bulb from the front turn signal light socket. 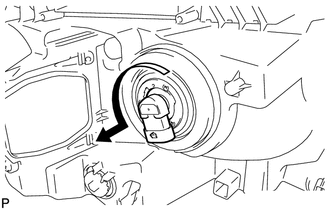 (a) Turn the front side marker light socket with the front side marker light bulb in the direction indicated by the arrow shown in the illustration, and remove them as a unit. (b) Remove the front side marker light bulb from the front side marker light socket.